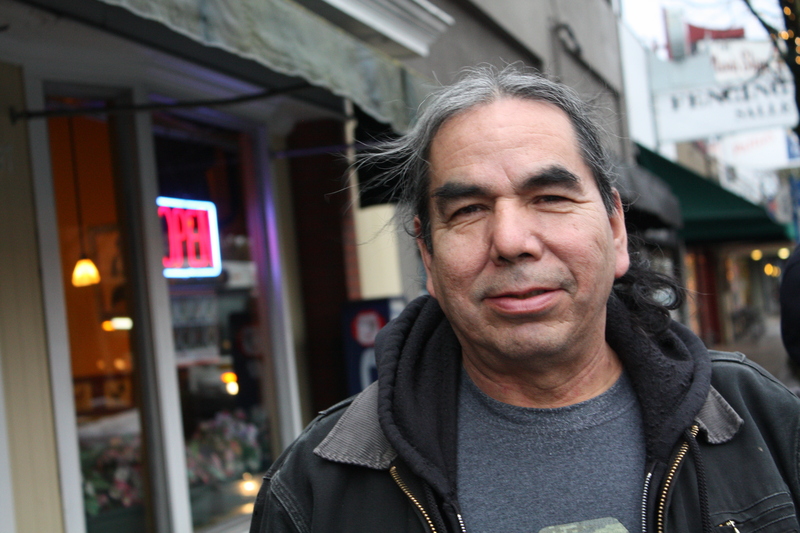 OMAHA, NE--(Marketwired - November 25, 2014) - Ed Edmo, a Shoshone-Bannock poet and storyteller in Portland, Ore., vividly remembers when as a child he had a painful, decayed tooth pulled one morning more than 60 years ago. He had traveled from his Oregon home on the edge of the Columbia River's salmon-rich Celilo Falls, a tribal fishing area later submerged under dam water, to the Cushman Indian Hospital dental clinic in Tacoma, Wash. He remembers being greeted by a white dentist with a pockmarked face and eyebrows grown together. And he recalls cold steel in his mouth just before a burst of pain so excruciating he passed out. "My mother heard me screaming," recalls Edmo, now 67. He doesn't know why the dentist denied him a painkiller before yanking his tooth, he says, but the experience left him mistrustful of all medical professionals well into his 30s. By age 16, he had lost all of his teeth to decay and high school football injuries. Most Native American children today are keeping their teeth and enjoying better oral health thanks in part to the Early Childhood Caries Collaborative launched by the Indian Health Service five years ago to step up prevention and reduce tooth decay among children under five. But dental health gains are not so evident for adults in Indian Country since the last national IHS survey in 1999. Help has come too late for many Native American elders such as Edmo, and for some adults, dental care remains elusive. IHS has a new plan for oral health surveys in 2015 and 2020, but at the moment, "there really is no evidence one way or the other to show whether there has been an improvement" in Native adult dental health, says Kathy Phipps, an epidemiologist who specializes in oral health and helped write the 1999 IHS survey report, which was published in 2001. "We're seeing improvements in certain areas of the country," says Phipps of Morro Bay, California. "A lot of those have to do with improvements in the socio-economic status among Native populations." Many Native Americans living on reservations, however, must rely on IHS or tribal facilities that in some cases are understaffed, Phipps says. "Those living in poverty or in areas where they don't have geographic access to dental care have not seen improvements." Urban Native Americans without health insurance also face challenges trying to tap tribal dental services. Michael Teeple, 62 and Ojibwe, had good dental care growing up as an orphan with foster families on farms in Michigan. And he got good dental care as a young man in Portland, Oregon, working 15 years for Freightliner, a truck manufacturer. But then he lost his job to alcoholism and spent a decade homeless on the streets of Portland, during which he lost many teeth, sometimes without even noticing. "All my teeth are missing in back, top and bottom," he says. "I still am baffled how that happened." Now in recovery after treatment nine years ago, he still has not managed to get his teeth repaired. The only time he's had any dental care in the last two decades was about three years ago, when one of his molars became painfully abscessed. He went to a county health clinic for emergency treatment and lost two more teeth. He has no health insurance, but qualifies for IHS help if he can get to a tribal clinic. Portland's Native American Rehabilitation Association of the Northwest provides medical care, but as with nine other of the 35 IHS urban programs, it does not offer dental services. Teeple knows he needs to see a dentist, particularly since he is diabetic, which makes him more prone to periodontal, or gum, disease. "I'm way overdue," he says. "I miss my teeth." All are a drive of an hour or more away. He has no car and works full time in an auto parts warehouse, making it difficult for him to break away weekdays when the clinics are open. Teeple is part of an elder generation that has not always had good access to dental care. "That is definitely the group that has the worst oral health -- not just for the Native American population but for all of the population in the United States," Phipps says. Conducted oral health surveys in 1984, 1991 and 1999, providing a good map of trends in tooth decay and periodontal disease among various Native age groups over that period. Showed in the 1999 survey significant progress since 1984 in reducing decay and missing teeth among adults. The share of elders with 20 or more teeth, for example, climbed from 28 percent in 1984 to 33 percent in 1999. Native Americans continue to have higher rates of decay, missing teeth and gum disease than the general population, in part because they have higher rates of diabetes and poverty. But that disparity is disappearing for those Native Americans and tribes who are gaining more resources. It has grown from 11 dental chairs in 1984 to 75 today. It now employs about 40 dentists, though not all full time, in four clinics to serve 60,000 patients, whom it calls customer-owners. The foundation also provides emergency dental care to Native Americans throughout the state. Between 2005 and 2012, the number of annual visits to its clinics climbed 18 percent to 175,000. The foundation gets about a third of its money from IHS, a third from public and private insurers and a third from Cook Inlet Region, Inc., the tribal corporation that created Southcentral, says Dr. Tom Kovaleski, a dentist and dental director. Southcentral medical services refer patients for dental care and ensure those with diabetes visit dentists annually, a process all tracked in electronic medical records shared by doctors and dentists, says Mayquelle Buckley, dental administrator. The foundation also promotes better dental care through public service campaigns and booths at community events. Alaska Natives at all ages are getting more access to dental care, Kovaleski says. Dentists are seeing less decay and pulling fewer teeth. Kovaleski even sees it in the local street clinic where he periodically works. "As I take a look at the street people," he says, "the teeth of the Alaskan Natives are much better than those of blacks, Hispanics and whites." The Port Gamble S'Klallam Tribe's dental clinic on Washington State's Olympic Peninsula also has grown dramatically in recent decades and about 25 percent in just the last three years, says Ed Fox, director of tribal health services. The tribe gets about $140,000 a year from IHS for dental care. With public and private insurance and money from its casino and other operations, it supports an $800,000 a year dental operation. It employs a full-time dentist and hygienist and three part-time dentists to serve about 1,600 patients, 900 of whom live on the reservation. The program now runs with a $200,000 deficit, but that may end with the expansion of Medicaid under the Affordable Care Act, or Obamacare. Medicaid, may provide dental insurance for as many as 150 more tribal members, which will reduce or wipe out the deficit, Fox says. The dental health of the tribe's children is approaching, maybe even surpassing, that of total population, he says. The older adults have required the most "drill and fill" and other dental work, he says. "They were beat up bad and didn't have health insurance," he says. In addition to its plans for more precise surveys in 2015 and 2020 of the oral health of Native Americans nationwide, the IHS has some initiatives under way now that should improve dental care in Indian Country, says Dr. Timothy Lozon, director of the IHS Division of Oral Health. More than 140 dental programs have installed the IHS Electronic Dental Record system, which reduces treatment wait time and fosters more efficient service, more accurate prescriptions and better continuity of care, Lozon says. The oral health division also completed a five-year strategic plan, he says, that will include an oral health literacy campaign and an initiative to promote evidence-based best practices to prevent disease. Health leaders are making progress in tackling chronic diseases such as obesity and diabetes in Indian Country, which means they are probably making headway in oral health too, says Phipps, the epidemiologist. "We are making progress," she says. "It is slow, but I think we are making progress." The Native Health News Alliance (NHNA) is non-profit news organization in partnership with the Native American Journalists Association (NAJA). NHNA serves media outlets with multimedia news and feature stories specific to the health and wellness needs, issues and concerns of American Indian / Alaskan Native communities. All NHNA content is provided at no cost to editors or media outlets. Registered users have access to free downloadable web, print and audio stories available for publication. Visit www.nativehealthnews.com for more information.